Laura Pardoe has been gathering, growing and learning about plants for over 20 years and using them in making skincare for over 10 years. She trained in developing and formulating skincare products and runs award winning Field Fresh Skincare. Laura has an MA from the University of Cambridge, has trained in permaculture design and has a fascination in natural systems and how to work effectively with them. She teaches, runs workshops and blogs. With interest in natural skincare rocketing and Blend-It-Yourself Skincare listed among the Top 5 Trends for 2018, there is a thirst for straight-forward information and simple guidance that helps those seeking a natural lifestyle to take control of their own skincare and ingredients. 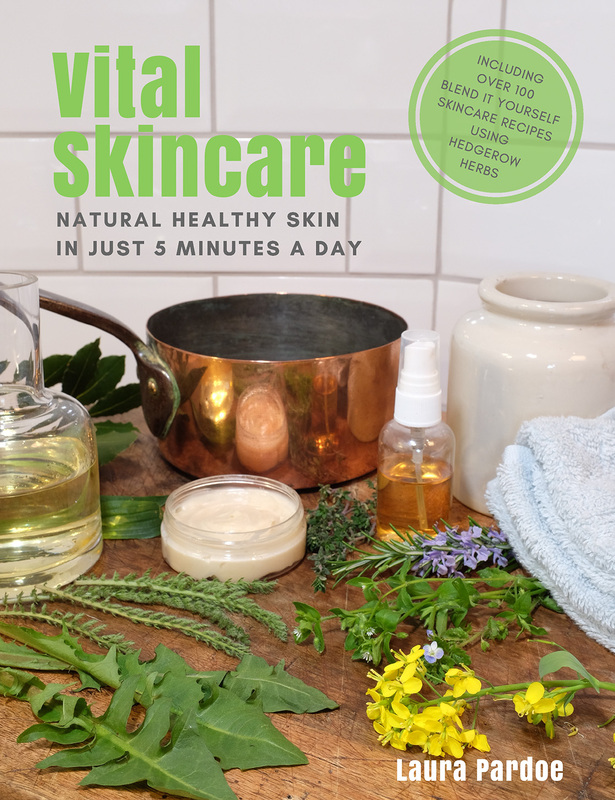 Vital Skincare helps you understand why it is vital to look after your skin, to know the vital products and practices for healthy skin and learn how to add vitality to your skin and routines using the natural ingredients that grow around you. Learn a natural approach that doesn’t cost the earth. By appreciating the many roles skin performs and understanding its natural system you can love and look after your skin simply. Using fresh, local ingredients brings nature into your daily routines to help make you happier, healthier and smarter. It’s never too early or too late to start knowing your skin. © 2018 Chelsea Green Publishing | Media Site. All Rights Reserved. There are items in your basket which are ready to ship. You'll need to checkout before adding this pre-order item to your basket. Head to the checkout Empty my basket and order this item instead.